Well, I am now back in Tokyo after a long break in the UK, and am slowly recovering from jetlag and acclimatising myself to life in the land of the rising sun. We've already had a heavy snowfall since I've been back and there are still clumps of it lying around, but it didn't last for long and apart from a rather slippey, slidey journey down the hill to the station the day after, we haven't been affected by it. It's just very cold here now, but the blue sky makes it very bearable! 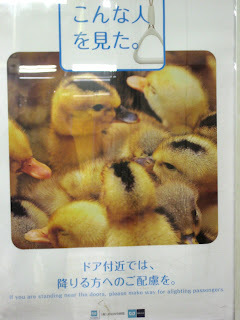 Luckily I was able to catch the January morality poster, which again, includes cute animals. 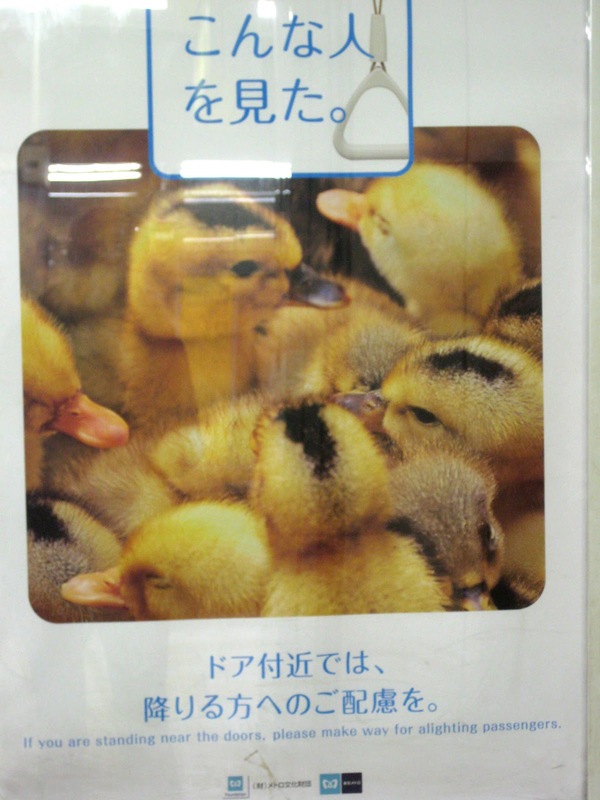 This time it's a crowd of ducklings and the caption reads "If you are standing near the doors, please make way for alighting passengers".